How do you control your future health? Resolve your belly issues and have better health for the rest of your life. Having better health for the rest of your life. Wouldn’t everyone want that? Belly solutions are simpler than you think. 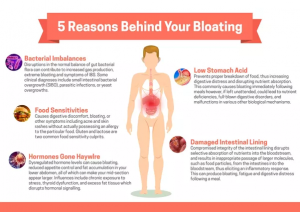 Your belly bloats, constipation, diarrhea or belly pain shouldn’t be ignored. They can be the beginning of bad health that will show up later in life. Every day in our office at Trust in the Process . Digestive Centre; we can confirm the digestive epidemic of the 20 to 49 age group is experiencing digestive suffering. Some of our clients are acutely aware of extreme gut discomfort and pain, some are pushing all the body’s cries for help in the form of tweaks and subtle signals aside. It seems to be caused by diet confusion, extreme demands on time and low priority for meals. An overlooked step, in solving this digestive epidemic, is how to heal your gut and then how to move forward with care and diet. We also see a low priority in our social society for preventive health. Our clients who have to travel for business and attend conferences, still find it hard to stay on course with good eating habits.